Kanu Surf presents our newest swim styles yet. Kanu, a surf and swim lifestyle brand, is well known for great prints and colors along with high quality functional apparel for the whole family. All of our swimwear is made with a high quality nylon/spandex tricot fabric and are lined both front and back. All of our prints are available in 1 or 2 piece options. Kanu swimwear is great for the active athlete as well as for the recreational swimmer. 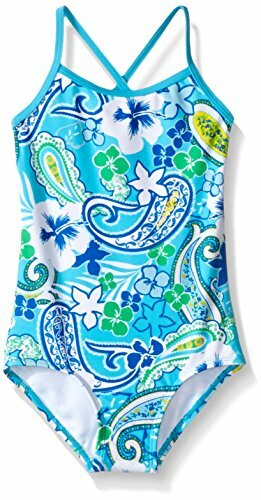 Our summer dream 1-piece swimsuit sports a cool floral paisley print. Available in all girls sizes infant thru 16 so sisters can hit the beach scene as a team.